It’s clear that the Mass Effect video games have featured some pretty great characters over the years, and many players fondly remember the likes of Ashley Williams, the Illusive Man and Miranda Lawson. And these being sci-fi games, players also got to interact with alien characters like soldier Garrus Vakarian, scientist Mordin Solus and the adorable Tali. 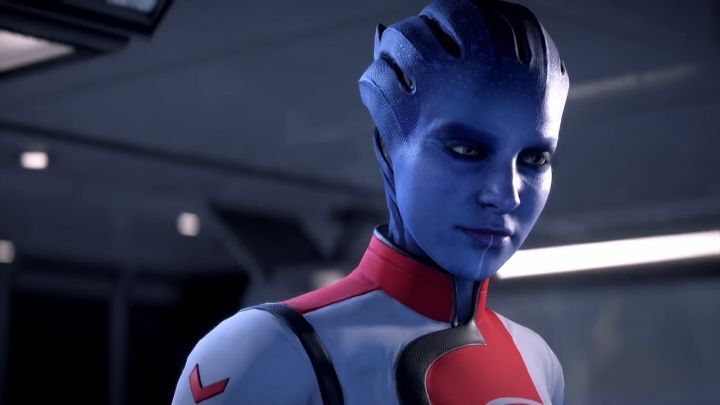 Actually, some of the series’ best characters have belonged to alien races from the Mass Effect universe, and the upcoming Andromeda will feature quite a few new alien characters as we saw in earlier trailers and a preview video for the character of Peebee earlier this month. And now Bioware has released a new video for Mass Effect Andromeda which shows that actress Natalie Dormer will be playing Dr Lexi T’Perro, an Asari doctor who will be making sure the crew of The Tempest stays in tip-top shape. In the video, the Game of Thrones star says that Dr Lexi “isn’t without emotion or compassion” and that “she sort of tries to work the line of just the professional doctor but sometimes she tips over it”. She also praised Bioware’s upcoming video game, saying that Mass Effect Andromeda is “huge” and that “the production values on this series is just extraordinary”. Natalie Dormer is no stranger to video games as she previously voiced her Game of Thrones character (Margaery Tyrell) in Telltale’s episodic adventure based on the hit HBO series, with Dormer doing some good voice work despite the fact that the game wasn’t one of Telltale’s best. But still, here’s hoping Natalie Dormer and the other voice actors involved in Mass Effect Andromeda deliver some truly great lines and that this turns out to be one of the best games in the series yet when Bioware’s game debuts next month.